It’s almost that time again. Time to start thinking about what goals you want to set for next year. Of course, you can set goals at any time, but this is the time of year when a fresh start feels like a wonderful thing. I like to set new goals for each year. When I set goals, I try to be realistic. It’s going to be hard to save $5000 for the year if I can barely pay my bills each month, right? But realistic doesn’t mean easy. Great goals stretch you. I try to find the balance between what is possible (realistic) but still will stretch me! I also try to think about different areas of my life that could use some improvement. 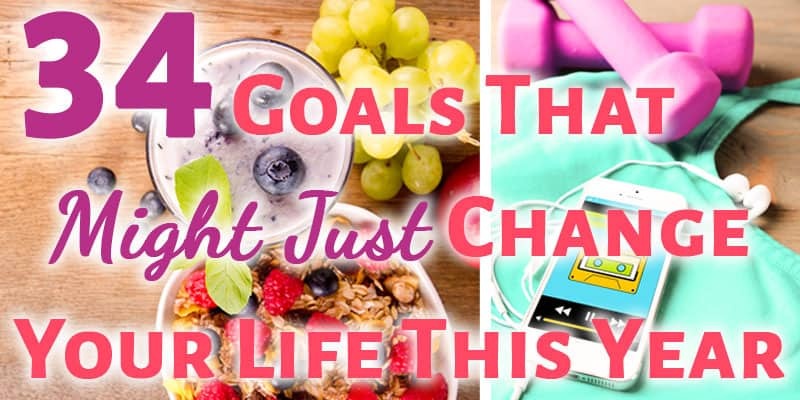 It’s hard to stick with three different health goals, so choosing a goal or two from various categories can be better. Lastly, if you make goals that are specific, you’ll know exactly what you need to do to succeed. I’m working on making shorter goals instead of year-long ones. It’s daunting to say that “I want to count my calories for the whole year” (and not very practical), but to set a shorter goal of counting my calories for a month sounds much more doable. Then, after that month I’ll be happy to have succeeded and can reevaluate if I want to continue with the habit or set a different health-related goal. 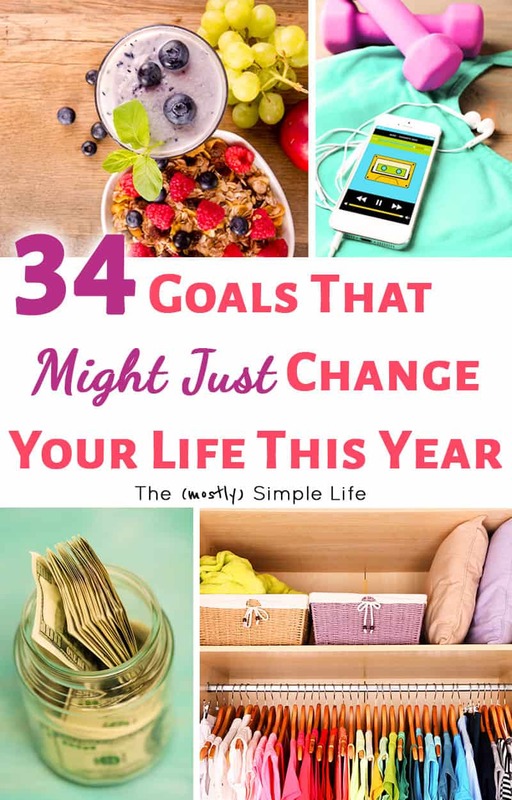 So, as you start thinking about goals that you want to set, whether it’s for the start of the new year or starting next week, I came up with this list of great goals to set that could help improve different parts of your life. This is just a list of ideas. I don’t plan on accomplishing all of these or anything close to it. I’ll probably pick one or two to work on at a time and see how it goes. 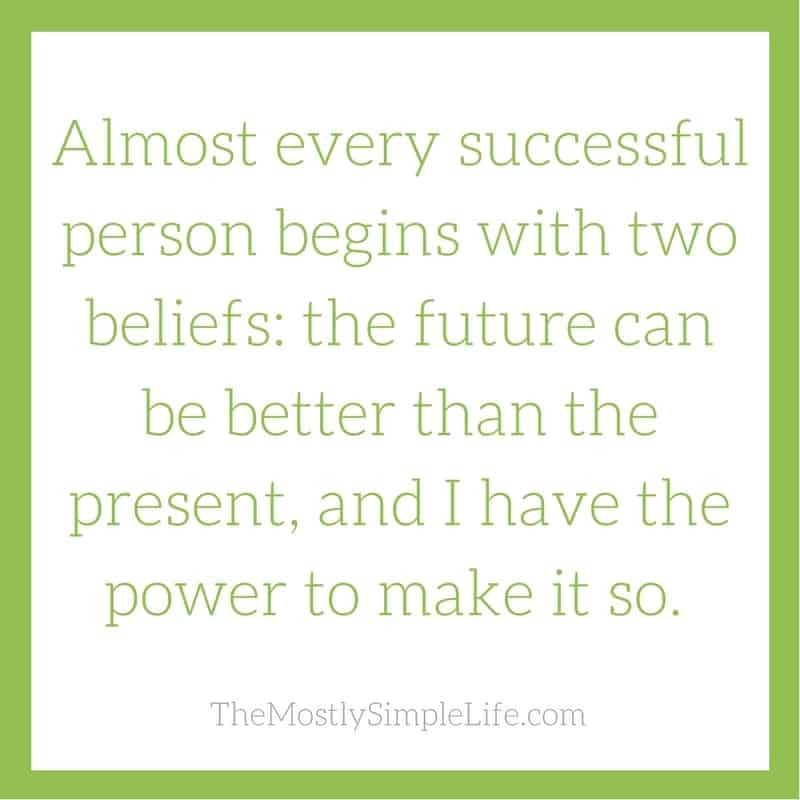 Don’t miss this post about finally achieving your goals this year! Read one chapter of a book per day. Learn how to find time to read more. Learn how to knit and finish 3 knitting projects. Keep a gratitude journal and write down a few things you’re thankful for each day. Spend an hour a week learning a new language. Udemy.com has a lot of language courses you can do on your own time. Create a productive morning routine and stick to it for a month. I loved the Make Over Your Mornings course. It really helped me create the best morning routine possible for me! Read one personal development book per month. My favorites are Off the Clock, You Do You, and Better Than Before. If you want to lose weight, you can read about some easy things I did to lose weight here. Eat 3 servings of fruits and veggies per day. Drink 48oz of water per day for a week. Exercise for 20 minutes per day 4x a week. I’ve got a post all about how to motivate yourself to work out. Count your calories for a month. Limit coffee or soda to one cup a day. Eat a healthy breakfast every day for a month. Get some quick and healthy breakfast ideas here. Start my 4-day declutter challenge! Spend 15 minutes per day decluttering and organizing. Read about how to find time to declutter here. Set a goal of how much money you want to earn from decluttering. Check out this list of how to get rid of stuff. Make a weekly cleaning routine to stick to for a month. See my daily cleaning checklist here. Get on top of your paper clutter. Get advice on how to reduce paper clutter here. Spend 10 minutes tidying your house every night before bed. Start meal planning to save time and money. We only spend about $70 per week on groceries for two adults because we meal plan. Set a night for a weekly family game night. Eat dinner together as a family 4x per week. Go on one date a month with your spouse. Pick a book to read together as a family for 15 minutes per night. Write an encouraging note to each of your kids once a week. Save $100 a month towards a vacation. Make specific plans for paying off debt. Read about how we paid off almost $19,000 in 10 months here. Create an emergency fund – Set an amount to save per month. Break this down into specific steps that need to be taken and don’t make this giant house-buying mistake. Save to buy a car without debt. Save your spare change into a retirement account with Acorns. Check out our monthly budget here. Lower your grocery bill by 10%. Find tips to save money on food here and here. Create a budget and save to remodel part of your house. Here’s how we remodeled a kitchen on a tiny budget. Spend a few minutes per day tracking all of your expenses for a month. Earn extra income from home. Read the ways I’ve made money from home here. Learn how to make money selling on Amazon or become a proofreader! How to Finally Achieve Your New Years Resolutions This Year! What kinds of goals do you want to work towards next? What ideas for goals would you add to my list? I have never sat down and made a list like this before. Thinking after reading yours and different categories this would help tons. Glad to give you some ideas Candy! Goodness me I thought I was routined and organized, you have some splendid ideas and goals here. You put me to shame. I wish you luck. O, I don’t plan on doing all of these! They’re just some options to think about. I’ll try to do one or two from each category throughout the year. My favorite one is the gratitude journal. I think appreciation is the best thing for people. Just my opinion. 🙂 Great list for a happy life! Absolutely! Gratitude can make any situation better. That’s awesome Katie! I’ve never kept a gratitude journal, but I’d like to start. I try hard to think of a few things I’m thankful for each night before bed but a journal would probably keep me more consistent. These are all great goals! Taking a class to learn a new skill is always a good idea. I am trying to exercise more than before. Water is my favorite thing to drink. I have been in the process of decluttering more and more. I cleaned out my closets last week. I will be keeping a lot of these goals in mind! Thanks Mistle! I really need to drink more water! It definitely takes some effort for me. Udemy.com looks interesting. Is this where Austin got his start? I always love your blogs for their info. Thanks. Thanks Margaret! Austin started with college classes, but he learned more practical knowledge from Udemy than his degree. Your list has a lot of great recommendations for all areas of life! One goal I am working towards is reading more books in the non-fiction genre. I also want to write more this coming year. Writing more is a great goal Erin!